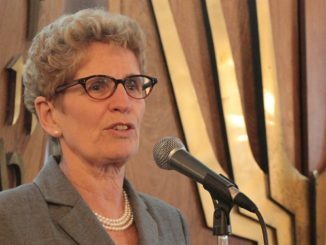 The governing Ontario PCs were quick to put the blame for Ontario’s falling job numbers squarely where they belong, at the feet of Kathleen Wynne. 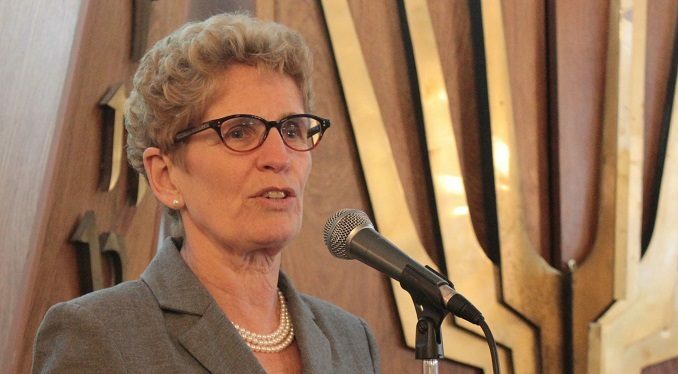 Sure the former Liberal premier lost power in the June and sure Doug Ford and the PCs were sworn in at the end of June. But the job losses we have seen over the last year are, at least in part and I’d argue a large part, the responsibility of Wynne and her policies. 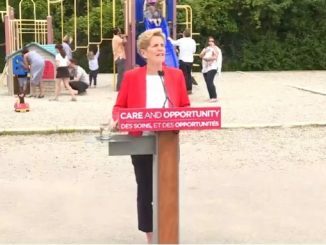 “The latest job numbers are a reminder of the Wynne Liberals’ 15-year legacy of scandal, waste and mismanagement,” said economic development minister Jim Wilson in a statement. And what a reminder those numbers were. In the 12 month period between August 2017 and August 2018, Ontario lost 93,000 part time jobs according to Statistics Canada. Could it have something to do with Wynne’s labour law changes that not only boosted the minimum wage from $11.40 an hour last August to $14 an hour this August? Add in several other changes that small business owners tell me make it harder to hire and keep workers at the low end and the answer is yes. In that same time period, Ontario added 220,000 more people to the population but only added a total of 78,000 jobs. The unemployment rate may say 5.7, up from 5.4 in July, but that rate would be higher if Ontario’s participation rate wasn’t dropping. The participation rate measures what percentage of the working population is employed or looking for employment. Ontario’s participation rate is just 64.2%, down from 64.8% in July, and well below Alberta’s 72.1%. We need to get the economy going to the point where the participation rate is higher and the unemployment rate is lower. 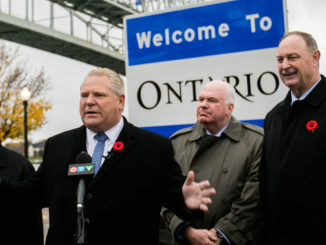 Premier Doug Ford has declared that Ontario is open for business, we need that. After years of the provincial government making it harder to start and operate a business in what was Canada’s economic powerhouse, Ford has a big job ahead of him. That job will include getting a handle on out of control energy prices, which he is doing, but also dealing with Ontario’s out of control labour regulations. Thankfully, this is something Ford and Wilson are acting on, the government has announced a series of consultations with small and medium sized businesses on peeling back regulation. “We want to make it easier to start, develop and grow a business right here in Ontario. When we cut unnecessary red tape and regulatory burden, we help create and protect jobs,” Wilson said on Friday. While labour laws have a place in protecting workers from unscrupulous employers, the balance now is all out of whack. Labour laws shouldn’t make it harder to give people a job. This website is completely independent, if you like my work and want to support independent journalism, consider making a donation via PayPal.